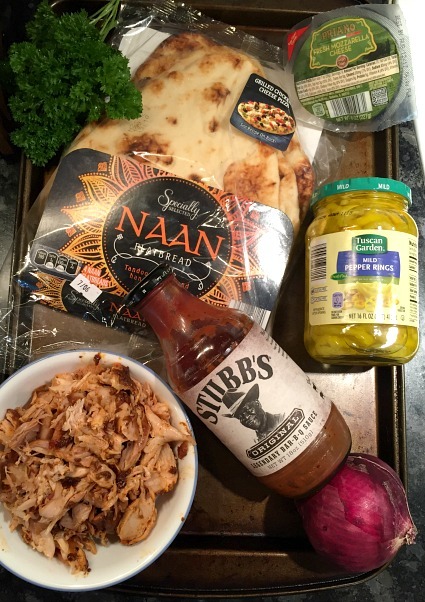 This super easy 20 minute BBQ chicken naan pizza recipe was inspired by California Pizza Kitchen’s BBQ chicken pizza — but I added peppers for an additional pop of flavor, and used mozzarella instead of smoked gouda because I’ve been stocking up on sale at ALDI. 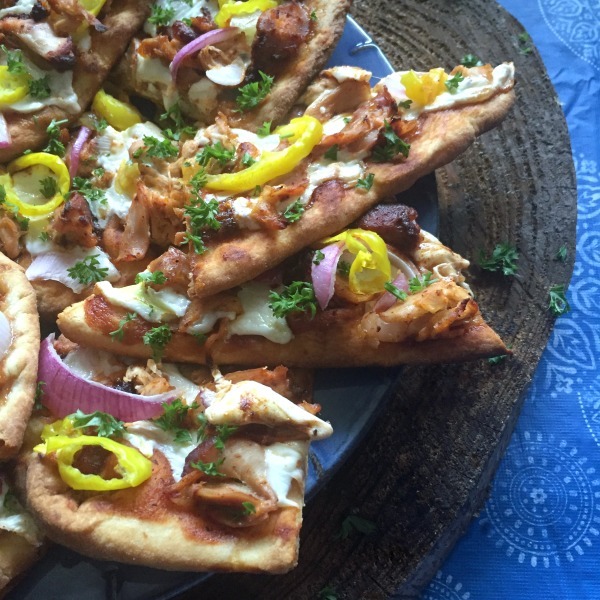 Monday is not usually a recipe day around here, but let’s be flexible: Because I really wanted to tell you guys about this BBQ Chicken Naan Pizza I scratched up this past weekend using leftover shredded chicken from these BBQ chicken drumsticks! 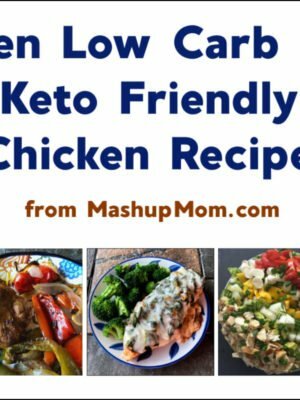 This gives you another recipe option if you too decide to make the drumsticks, or if you end up with any leftover BBQ chicken from your 4th of July festivities this week — and I love using naan as pizza crust, too; it cooks up so nicely and is an easy pre-made alternative to pizza dough. 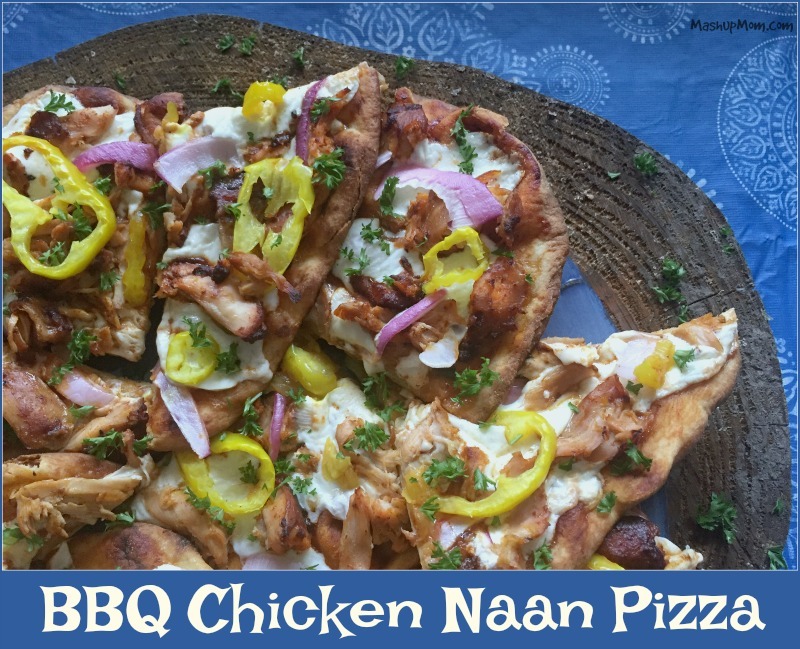 This super easy 20 minute BBQ chicken naan pizza recipe was inspired by California Pizza Kitchen’s BBQ chicken pizza, but I added peppers for an additional pop of flavor and used mozzarella instead of smoked gouda because I’ve been stocking up on sale at ALDI. 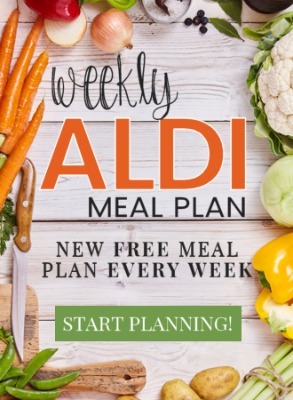 Such a great plan for a busy weeknight! (Oh, I also substituted parsley for cilantro because I don’t like cilantro and have a bunch of parsley growing in my garden, but garnish your own pizza with whichever strikes your fancy…) If you don’t have leftover BBQ chicken on hand, you could also mix plain cooked chicken or shredded rotisserie chicken with a little BBQ sauce and proceed from there — the finished pizzas won’t be quite as flavorful, but should still be darn tasty. Preheat oven to 400 degrees. Place naan on two baking sheets and brown it for three minutes to crisp up, then remove from oven. Spread a thin layer of BBQ sauce on each piece of naan, then top with sliced mozzarella and add chicken, peppers, and onion. 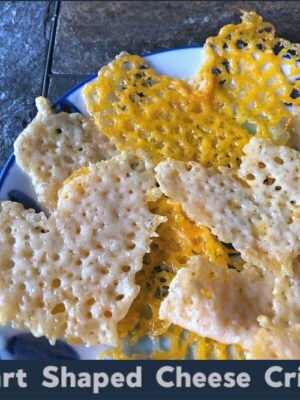 Bake at 400 degrees for 15 minutes, switching trays to different oven racks halfway through, until cheese is melted and bubbling. 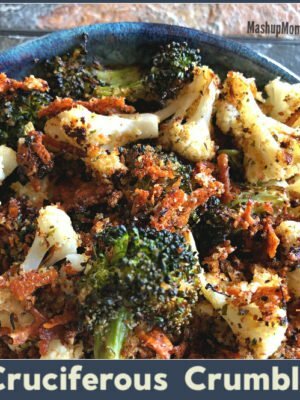 Garnish with fresh chopped parsley or cilantro, and enjoy! * Note: Or substitute plain cooked shredded chicken, mixed with BBQ sauce to taste. 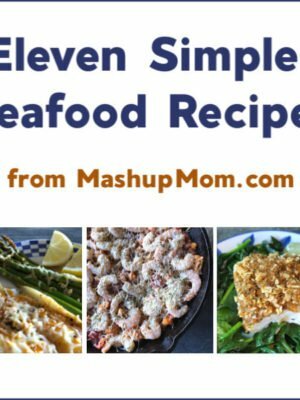 That’s an easy dinner recipe! 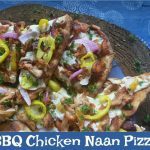 This naan pizza with BBQ chicken is such a nice mix of flavors — and such an easy way to use up leftover chicken in a fast weeknight dinner recipe. Everyone here is a huge fan, although Middle School Guy does pick off the peppers. But everyone has their thing, right? Winner, winner, chicken (pizza) dinner! 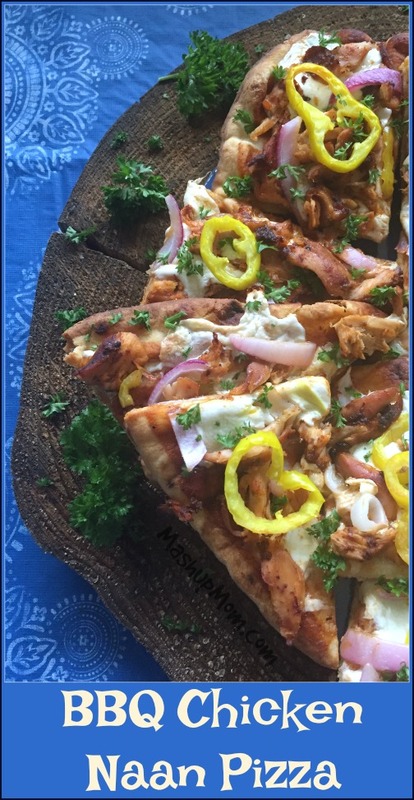 This super easy 20 minute BBQ chicken naan pizza recipe was inspired by California Pizza Kitchen's BBQ chicken pizza -- but I added peppers for an additional pop of flavor, substituted parsley for cilantro, and used mozzarella instead of their smoked gouda. Preheat oven to 400 degrees. Place naan on two baking sheets and brown it for three minutes to crisp up, then remove from oven. Spread a thin layer of BBQ sauce on each piece of naan, then top with sliced mozzarella and add chicken, peppers, and onion. Or substitute plain cooked shredded chicken, mixed with BBQ sauce to taste. Very easy and good. Thanks for another great recipe.